Copper and metallic tones have been on my mind throughout the seasons, yet I have not had a chance to finish this project until recently. A month or so ago, I started a makeover on my patent leather flats, then had other lovable distractions to fill my time. The present timing to showcase the result is better anyway given that fact that I added a few bells and whistles. These burgundy flats were simply a pair that I had purchased on my way to a meeting one day—stilettos were on, a downpour of rain was definitely happening, and my feet were seeking immediate comfort! But, I have plenty of plain flats now! Here is my custom version of (copper) cap toe embellished soles. I am pleased with the turnout. The copper colour is extremely unique and goes well with my mixed metal tone obsession. *Note: This project can be quite messy, so please be careful. Reminder: Ultra chic apparel is not recommended for this crafting session! 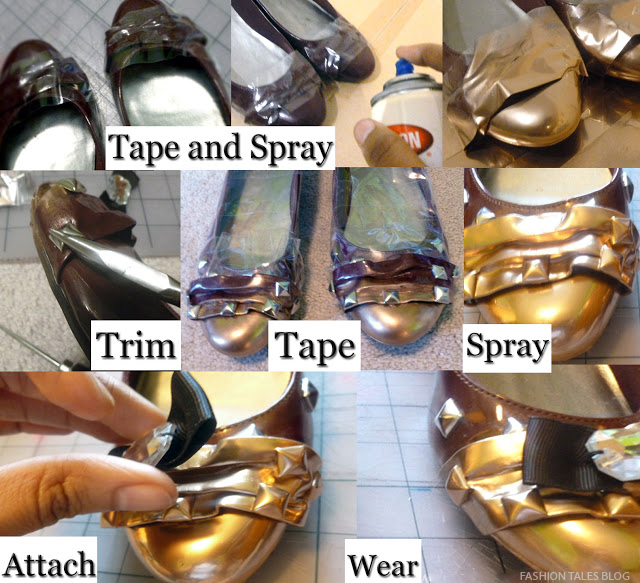 To begin, I taped the area where I wanted the cap toe effect on my shoes to be, then used copper spray paint (with metal finish) carefully spraying around the top and sole area. Next, let paint dry for a few minutes then spray your sealant fixative so that the paint won't chip. Next, I added prong studs around the edges of the shoe and atop the band (optional), then spray painted once more, but over the studs this time. I wanted a mixed metal tone for these so I left the top portion of the studs silver. To embellish my flats I created a bow by cutting grosgrain ribbon approx.12-14cm length, folding the ribbon in a loop to desired bow shape. After twisting the ribbon in the back use needle and thread to tighten the bow, you may also attach any other trim that you want on the bow. I used a bead and hand tacked each piece to the ribbon. lastly, glue the bow to the top part of the flats to finish! Repeat this step for the other shoe. 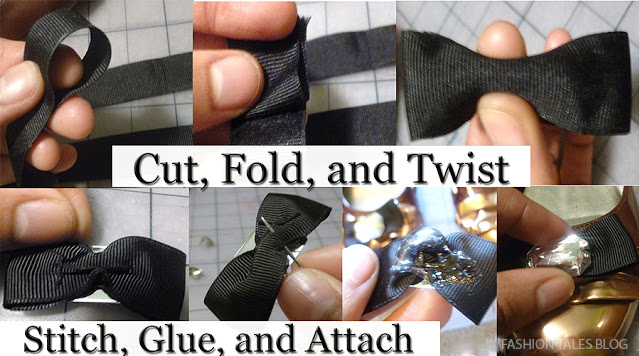 *For a no sew bow application you may use fabric glue or other adhesive to attach the bows as well. Aw these are so pretty...could you make me a pair too :) Its a brilliant diy with very professional results. Beautiful ... looks like a new pair of shoes! Hi sweetie, Hope you had a lovely weekend. Naaaaaaaaaaaaaah, you ARE A GENIUS!!!! WOW! what an amazing DIY! Your creativity is always impressive. And I love that you really made the cap toed trend your own. These are so pretty--great work . .
Oh my, what a fabulous DIY project! Your shoes turned out just perfectly! I'm obsessed! Wow, that is a shiny copper. The flats look like they came this way! I love the bow and stud details that you added too, and that you kept the burgundy and just put the copper on the caps! wow!! Amazin DIY!!! I like it! 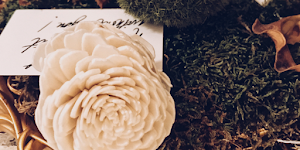 You are so incredibly creative with your diys Madison, if only I wasn't the world's laziest diy-er! I have been wanting a pair of cap toe heels or flats this fall...wishing some of your diy handiness would rub off on me! Thanks Mary Jo! I'm certain you can tackle this one, It's quite easy. xo Happy Monday! Thanks Vix, really appreciate the compliment. These were my favourite so far! :) Thanks so much Alexis! 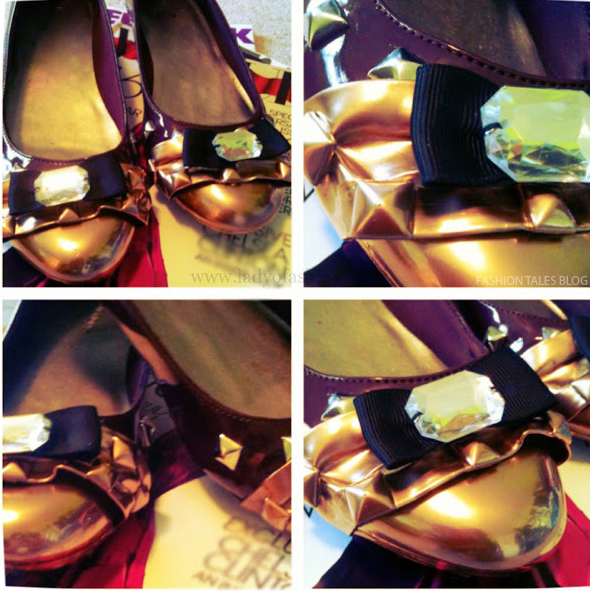 I am aleays impressed with your DIY projects and these flats look amazing! I love this DIY! Those flats look super chic! Thanks for sharing! 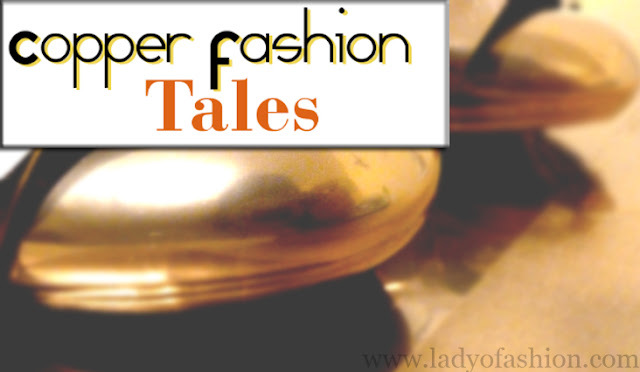 Rowena @ rolala lovesEnter my Blogiversary Giveaway! I love the contrast of colors and you made it look so easy! They look so good Madison!!! I love the accents you added to them. You're good! Is a designer shoe career and shop in your future? You have the talent! Seriously. You're brilliant at fashion. Wow! Totally awesome. That's brilliant, hope to try it out someday - we're so lazy! Oh wow, these came out looking fabulous, you did an amazing job. I am loving the combination of the burgundy and the copper, then those cute bows with the rhinestones just make these perfect, they're quite different from any of the other diy cap toes I've seen. They look beautiful. Wow this is amazing; you are so creative and talented. I love this style of shoe but I am yet to own any (have to borrow them from my sister) so this is definitely something I'd like to try. I never would have thought about this for a DIY. Your flats look adorable! I love how they turned out! wow! great diy, love it. Wow great idea!!! very creative!!! Those came out awesome - so cute! Madison you are so talented!! The shoes came out beautiful. I wish I had a DIY gene somewhere. Thank you Daniella! I'm loving copper hues so much lately. :) Thanks for the sweet comment. haha, hhmm, perhaps! You just never know, but I'm open to the idea Kim. :-) Enjoy your day dear. It looks very very Ferragamo!